Raj Thackeray said the poll results were a precursor to the upcoming Lok Sabha elections due next year. The results of the Assembly polls are a "slap" on the face of the "tyrant" BJP, MNS chief Raj Thackeray said on Tuesday, and asserted that the country needed "Ram rajya" and not a Ram temple. Talking to reporters in Mumbai, Mr Thackeray also said that although the BJP was calling Rahul Gandhi "pappu", the Congress chief has become "param pujya" (highly revered) with his party's performance in Chhattisgarh, Rajasthan and Madhya Pradesh. "Today, the country does not need a Ram temple, but needs Ram rajya. The government does not have anything to show to the people as it hasn't done anything in the last four-and-a-half years. Hence, matters of faith are being put forward," he said. The MNS chief said the poll results were a precursor to the upcoming Lok Sabha elections due next year. "The BJP was bound to face this. The results are a slap on its tyrant governance," he said. Mr Thackeray observed that the people of Gujarat started the BJP's decline in the last year's Assembly polls. 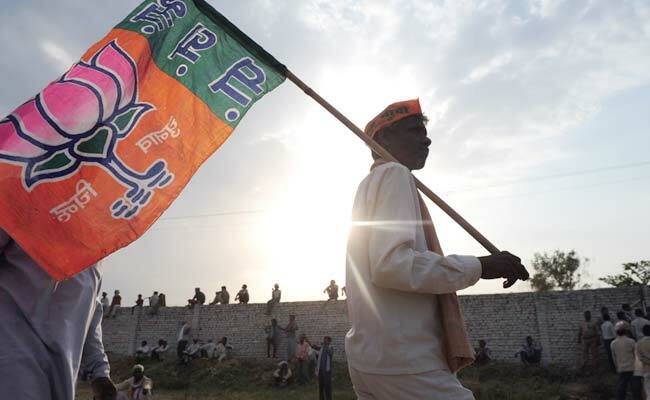 In the last year's Gujarat elections, the BJP had won 99 seats in the 182-member assembly, down from 115 it won in 2012. On the other hand, the Congress' tally rose from 61 in 2012 to 77.